Home » Anti-Money Laundering » AML Training: Part of the Problem or Part of the Solution? Anti-Money Laundering (“AML”) regulatory enforcement actions often cite poor AML training as contributing to the environment that allowed a violation to occur at a financial institution. Very often, the same enforcement action mandates more AML training. Specific to job, product, Line of Business, customer type, etc. 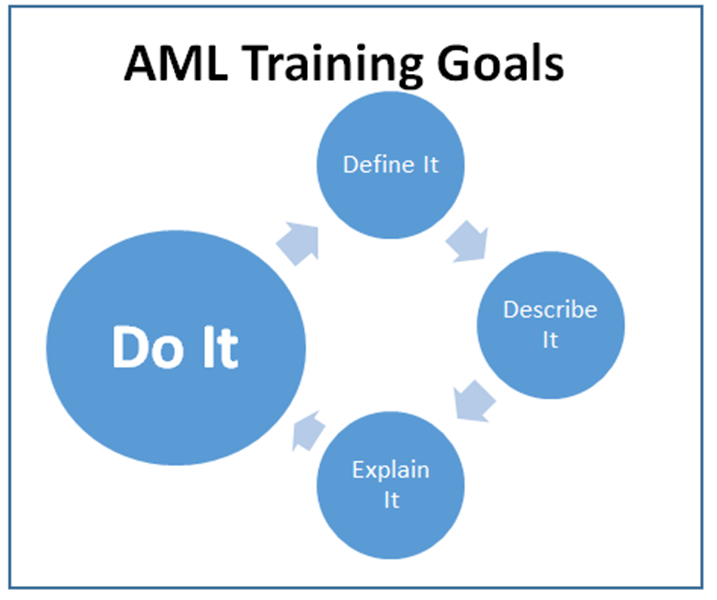 Regulators’ AML training expectations have moved well beyond vocabulary tests. Individuals tasked with developing and overseeing AML training for a financial institutions should determine the objective of the training. Do you want a bank teller to be able to list the three stages of money laundering or do you want him to recognize when structuring occurs at his window? Do you want your operations staff to know the definition of layering or do you want them to properly escalate the issue it when they identify it? AML training professionals should focus on what you want the employees to be able to DO after the training. Is it: define, describe, explain, recognize, escalate, investigate or something else? ← FinCEN Doesn’t Track Bias in SAR Filings. Should it?